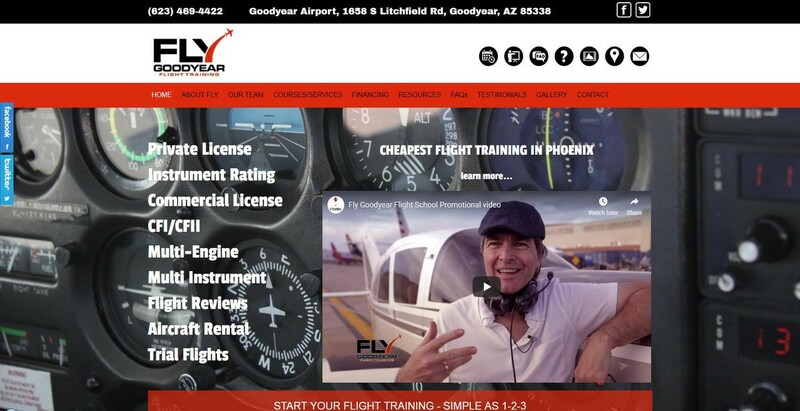 Ian completed his flight training at Fly at Goodyear. The flight school owner had put together the original website "so we had something online". Despite this, he realized that his effort just didn't really cut it. After he and Ian became good friends, he asked us to rebuild his website and give it more pizzazz. We added a lot more content and features. Ian was lucky enough to hook up with a local videographer who did the video which is now on the home page.